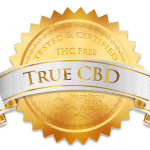 CBD Oil Review rates the Holland Hemp Company with four stars because it qualifies for the Quality, Safety, Mission & Innovation Badges. Holland Hemp Company is a Washington based company that makes CBD oil products that range in price from $9-$490. Holland Hemp Company sells many different brands of CBD products including their own self branded line called Holland Hemp Honey. The Holland Hemp Honey line ranges from vape products, topicals, and concentrates. 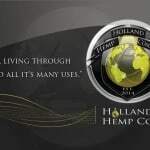 The Holland Hemp Company vision is great, “better living through hemp products and all its many uses.” Hemp does have the potential to help everyone live better lives, it is great that this is what fuels this team of entrepreneurs. Like many in this industry Holland Hemp Company cares about keeping everything organic and sustainable. On top of this Holland Hemp Co seems to be leading the way with safety, having independent lab tests published on all products they manufacture. 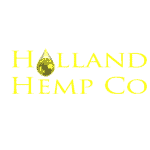 Overall the Holland Hemp Company appears to be a credible and transparent CBD brand. Mission Verified – Holland Hemp Company is focused on helping people live better lives through hemp and its many uses. Safety Verified – Holland Hemp Company publishes independent lab results for every product they make. Innovation Verified – Holland Hemp Company is one of the first brands to create a CBD oil wax concentrate for vaping. Vape Safety is Questionable – Although Holland Hemp Co does not publish their ingredients, their vape lines probably contain Propylene Glycol which is recently discovered to be negative for your health.